Though there are dozens of ways to communicate with your customers – from print ads to social media to search engine optimization – email is still the top way for most companies to generate new leads. Email marketing allows you to promote products, drive sales and build a relationship with consumers. But how do you persuade customers to sign up for your email list? Before you can persuade your customers to sign up for your email list, you need to know who those customers are. What do they want? What are they looking for? Do they care more about being part of a community or getting a good deal? Are they browsing on their phones or computers? What problem can you offer to solve for them? Understanding your target customers and using that information to structure your marketing efforts from email capture onward instantly increases the likelihood that customers will sign up for your email list. The average email user receives almost 150 emails daily – and that number is increasing every year. As a result, consumers are understandably reluctant to sign up for even more clutter in their inbox. To persuade them to hand over their contact information, you need to make the exchange worthwhile for them. Rather than simply posting an email sign-up box on your website – which will almost certainly be ignored – use an incentive. A DMA report found that over 60 percent of consumers sign up for an email list to receive offers and promotions. This is when knowing your target customer is essential, allowing you to understand what they already want and offer it to them in exchange for their email address. No matter what incentive you choose, it should be something of real value to your customer that they are already interested in. You can offer multiple incentives to attract different segments of customers or visitors who find their way to different parts of your website. An incentive must be sustainable for your business: If you cannot afford to offer free shipping or 20 percent off an order, don’t use those as incentives, even if they do increase email sign-ups. Online consumers are busy, and if they are looking for something in particular, they will not take the time to browse your website or go through a complicated email sign-up process. Unless you are using a detailed landing page, or registering customers for an event, keep sign-up forms simple. The minimum information you need to collect is their email address. You may also want to include a place for their first name if you like to send personalised emails, but don’t ask customers to fill out too many boxes or to go through a Captcha sequence to get their incentive. You should also avoid having them click a link that redirects them to a different page. The more steps that are involved in signing up means fewer people are likely to follow through to the end. Make the process simple, and more customers will hand over their email addresses. Customers like to know what they are getting, and this is as true with email sign-ups as it is with products and services. To increase the number of people joining your email list, be explicit about what customers are singing up for and what they can expect. A welcome email is a triggered email sent automatically when a customer signs up for your email list. Welcome emails are a solid investment, creating an average of 320 percent more revenue than other marketing emails. More than that, they increase the likelihood that customers who signed up for your list will keep reading your emails. The DMA report from 2012 found that 40 percent of consumers sign up for an email list because they like the brand. A welcome email gives you an opportunity to show your brand’s personality and create a relationship with customers. By emailing right after they have signed up, you increase their likelihood that they will remember your business and feel connected to your core values – which 64 percent of consumers say increases their trust in a brand. 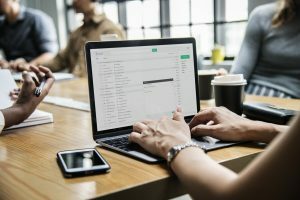 A welcome email should also include access to whatever incentive you provide them, as well as stating directly when and what you will be emailing them. Do you email every week or month? Will you include promos and discounts or industry information? Are your emails practical or aspirational? By telling customers exactly what to expect as well as who is a good fit for your email list, you instantly increase their investment in your email messages and their sense of belonging to a like-minded community, which again makes them more likely to stay on your email list and become repeat customers. Getting customers to sign up for your email list can take several tries and multiple steps. But the payoff is worth it: With an average return on investment of 122 percent, email marketing is a better use of money than social media, paid search and direct mail. And when platforms like Facebook and Google are constantly changing their algorithms, having a solid email list is sometimes the only way to guarantee that you can connect with your customers, no matter what social media and search engines decide.